Who do you consider to be your greatest mentor in life? How about your greatest mentor for your professional job? If you can name several people that you look up to, but cannot name someone who helps you professionally to become a better teacher, than that means you should be on the hunt for a mentor. What we’re looking for in this post is the “Goldilocks” mentor. This is someone whose knowledge level is “just right” for mentoring. For example, we’ll take a Social Studies teacher in their 6th year of teaching. This teacher is experienced, has developed many classroom activities that consistently engage students, and has a demeanor that focuses on the classroom work rather than how the classroom is run (see last week’s post, Student Led Discipline). For this teacher to find an effective mentor, they will need to look for someone with neither too little or too much experience in the field of Social Studies teaching. Too little, and the person won’t be able to relate to your work enough to suggest useful new things to try. Too much, and the person will likely be too “stuck” in their ways to recognize the changes you need to make to improve as a teacher. So, when looking for a mentor, try to find one who is the least judgemental. I bet that when you thought of your greatest mentor in life, it has more to do with what kind of person the mentor is rather than what they do or what they have accomplished. Kindness is key. And I have just invalidated my analogy to Goldilocks because she is obviously an extremely judgemental person. Everything has to be just right! So look for a balanced mentor, put those feelers out there, and find someone you can talk to professionally. Hopefully, the working relationship you develop will markedly improve how you teach, no matter what stage of experience you are at. 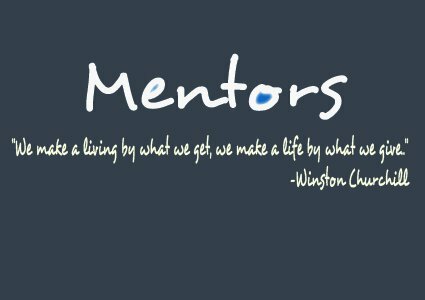 Have a good mentor story? Share by commenting or emailing teachingismadhard@gmail.com.